If you’re looking to explore another part of the magical island of Bali; providing the perfect escape from the busy tourist areas of Kuta, Legian, and Seminyak, Canggu, Jimbaran, Nusa Dua, Uluwatu and the likes; then Ubud is absolutely perfect! 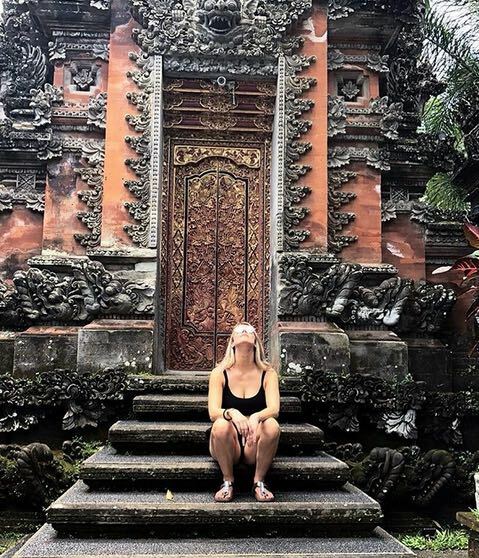 If your staying in one of our Bali villas in Seminyak then your villa manager will be able to organise a day tour for you and your crew to get to Ubud. Commonly referred to and well known as the Islands cultural and historical epicenter, this rainforest, mountainous and incredibly beautiful spot has something for couples, groups of friends travelling together and families alike. There are so many diverse activities to experience; the hardest choice, will be deciding on which ones to do first! Ubud is famous for Ancient Hindu Temples, food and writers festivals, some incredibly impressive art galleries, magnificent cuisine from something casual and traditional, to the most extravagant of dining experiences. 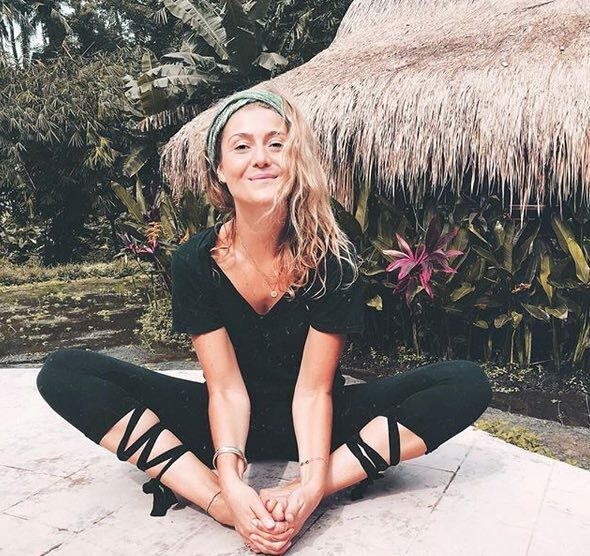 Relax, meditate, try a yoga class, ride the rapids in a raft, or just breathe in the beautiful fresh rainforest air, as you take in the breathtaking natural beauty, of this mystical place in the centre of Bali. 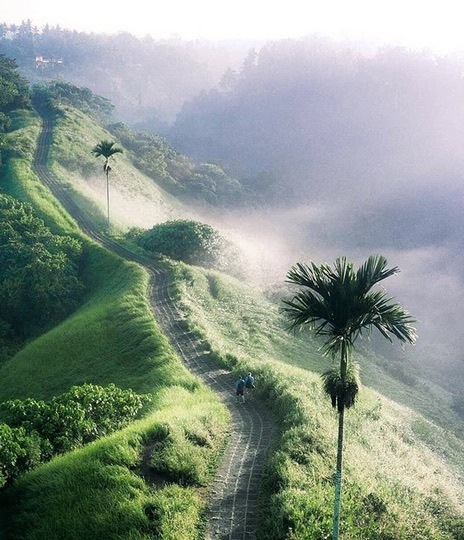 Ubud is the ideal escape from the crowds where you can completely chill out and witness one of natures miracles. Following are some great tourist activities you can do while in Ubud even if your just visiting for the day. No matter your heritage or religion the Saraswati Temple excursion is one that you must put on your Bali bucket list! The temple is an integral part of the Hindu movement, which began centuries ago, on the island of the gods. The temple itself was built to respect and acknowledge the Goddess of learning, philosophy and the arts. A stand out feature of the palace styled temple, is the vast water ponds layered with flowering water lilies, beautiful koi fish and abundant birdlife. The architecture and attention to detail is fascinating; displaying intricate timber carvings and ancient stone statues. You can witness traditional Balinese dance performances in the early evenings, complimented by artists working during the day throughout the gardens on canvas stills. Guests can dress in traditional Hindu ceremonial attire and have pictures taken, for memories you can keep forever. 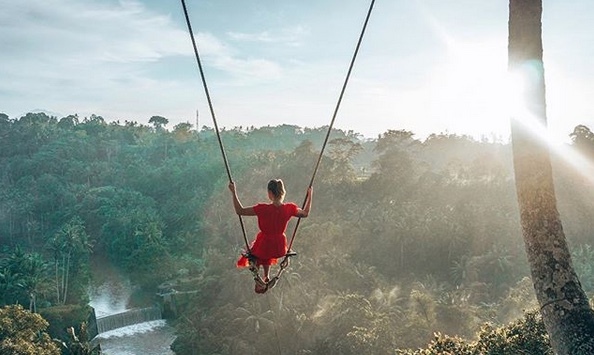 Hop on a swing and soar above the Ayung River gauge – Amazing panoramic views that will blow your mind! Approximately 20 minutes from Ubud’s main town centre, is a secret little adventure; that only few locals and ex-pats know about. This secretive hideaway will bring the holiday Zen into your day and an unforgettable experience at that. The setting is simply divine; a tropical rainforest borders a cavernous river gauge that leads down to the banks of the meandering Ayung River. It’s a feast for the eyes and senses, waterfalls, verdant rice terraces and the majestic backdrop of Mt Agung. Slung between two sturdy coconut palms, guest hop on a swing and sweep out across the gauge, there are appropriate safety measures in place to keep your mind at peace as you swing to and fro. Once the thrilling swing ride is over, trek down to the river and cool off under the waterfall. Address: Jalan Dewi Saraswati, Bongkasa Pertiwi, Badung. Ubud is renowned for mystical ancient Hindu temples, breath taking river gauge views, lush rice terraces, amazing art galleries, fabulous yoga studios and local markets trading in souveniers, home wares, local manufactured clothing and jewelery, just to name a few. 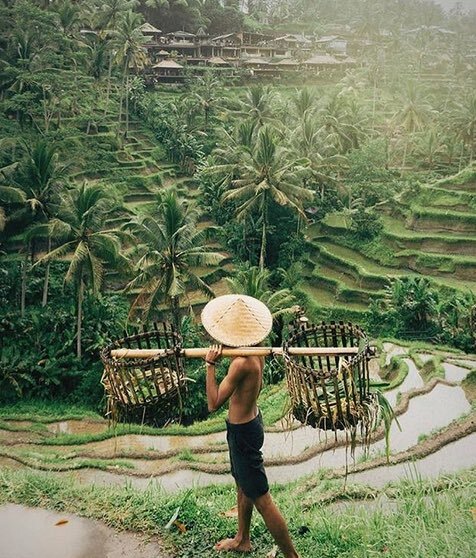 However, Ubud has an abundance of simply beautiful rice fields and terraces that are a wonderful draw-card for tourists, to great take pleasure in admiring from many great locations. Taking a walk through the lush rice fields is so relaxing and enjoyable, witnessing the locals hard at work producing some of the finest rice in the world. Witness both planting and harvesting processes, as you begin to slip into a state far from the realities and stress’s of city life. The rice terraces cascade down a hillside to a deep gauge below, the engineering of such terraces is a marvel in itself. Another must do Ubud adventure, that won’t take up the whole day, with its very close proximity to the centre of Ubud. 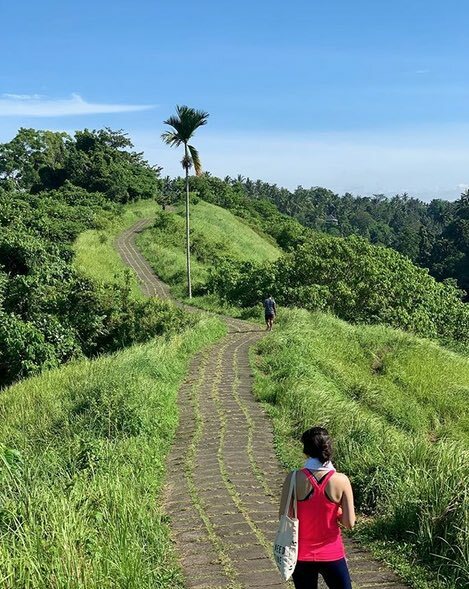 The Campuhan Ridge is accessed up a path leading off one of the main roads heading out of Ubud. It’s a ridge with lush grass hills that drop steeply on both sides of the path into the valleys below, providing majestic views and you will feel like you can touch the sky or even the clouds. It’s the perfect romantic walk for a couple, but also a great relaxing walk to be enjoyed with family and friends. The path winds past traditional Balinese huts and some more contemporary hillside villas. The ideal time to begin your walk is just as the sun is rising to witness its morning freshness and avoid the heat of the day as there is little shade along the path way. The path winds along the top of the ridge for around 3 kilometers and upon the return walk pull over at Karsa Café to rehydrate, or enjoy a cup of tea or coffee. Ubud is well known for its many yoga studios with a wide range of studios offering an extensive array of yoga practices and unique experiences. After a visit to the Yoga Barn you feel a sense of peace and rejuvenation that your mind, body and soul, is endlessly seeking. 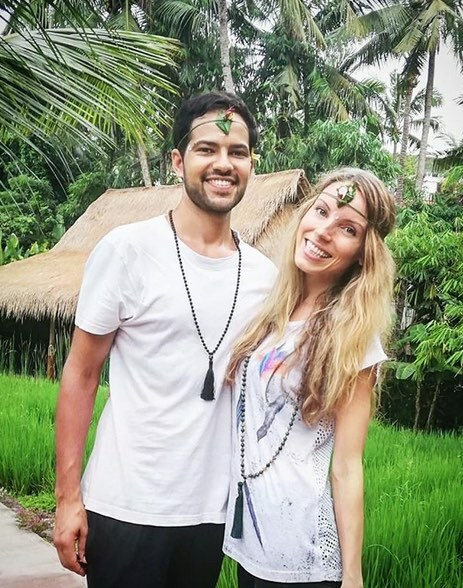 In actual fact Ubud is held in high esteem when it comes to global yoga destinations, with Ubud well cemented in the world’s top 10 yoga destinations. Complimented by everything healthy and spiritual, you will find many health inspired cafes, vast lush rice fields and a general atmosphere somewhere between spiritual, philosophical and arty. The architecturally designed studio certainly captures the essence of what Ubud is all about. With a focus based on rejuvenation and spiritual healing; students can take specific classes based around different styles of yoga, meditation and general well being. For more information on the Yoga Barn click here. If you would like to spend a couple of days I Ubud and really immerse yourself in the culture why not rent one of our Ubud holiday villas. We can promise you it will enhance the already fabulous experience.